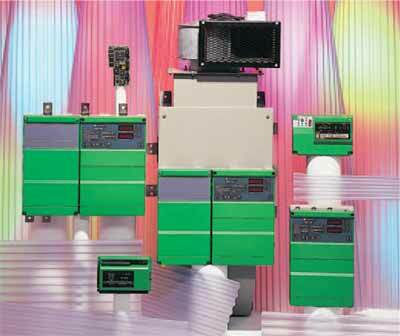 delivers the universal DC drive solution. Simple stand-alone applications are easily configured to control motor speed, voltage or current using standard internal settings. Set-up is convenient using the drive keypad, CTKP remote keypad, or MentorSoft, a Windows™ based drive configuration tool. 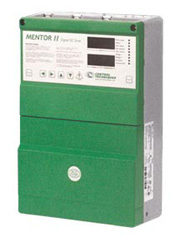 The Mentor II has extensive diagnostic and communication abilities that enhance system reliability. The drive’s standard yet powerful microprocessor is a versatile system component that can eliminate the need for a PLC with integral functions such as thresholds, timers and logic gates that perform basic control. are ideally suited to web handling, winders, slitters, extruders, wire drawing, converting lines, and plastics production. 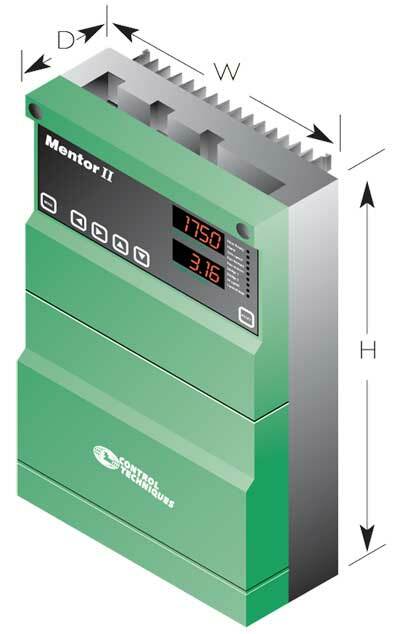 The Mentor II’s integrated design and highly programmable features make it an ideal choice for OEMs and System Integrators, as well as replacement or retrofit drives for End Users. Easy set up of the drive can be done using the main control panel or via a standard communications interface from a host computer. Fast configuration of standard applications can be achieved using 10 parameters or less. Programming the Mentor II has never been easier. Designed to save commissioning time, the drive has easily assimilated function menus browsed and edited via five navigator keys. A comprehensive self-tuning algorithm gives improved current loop performance for a more uniform response at all speeds. Drive performance is also enhanced with full PID digital speed control. The main circuit board has been developed to incorporate many additional features as standard. All analogue inputs and most of the digital control inputs are user-configurable, making Mentor II a true systems drive having more versatility and flexibility than ever before. Mentor II is able to communicate directly with PLCs and host computers or via optional interface cards. This is achieved with the standard RS485 port. This allows several drives to be run in speed or position synchronization. The drive torque is continuously adjusted to compensate for changing coil diameter, machine losses and coil inertia. This allows the user to specify the final position of the motor shaft relative to an electronic feedback datum, for example a marker pulse from an encoder. The position is adjusted by simply changing the value of the appropriate parameter. This facility provides a curved function at each of a user defined acceleration/deceleration ramp. SECO Dual DC Drive - Can be replaced by the Mentor II DC Drive. ***Please note all Mentor drives are sold on Exchange basis.